A few months back when I went on a road trip looking for snow plows. As you can see below I found more than just plows. 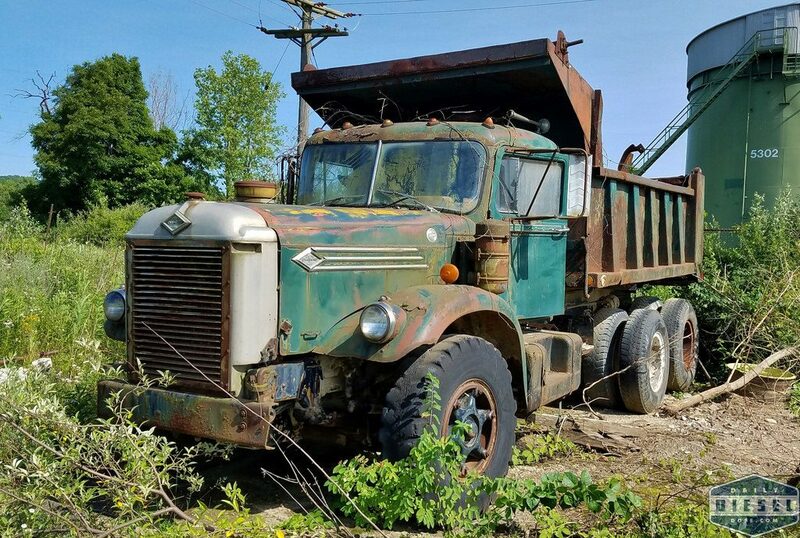 Check out this late 50’s Diamond-T dump truck that was the first ten wheel dump truck ever owned by Barney and Dickenson. For a truck that has been sitting in the weeds for God only knows how long it looks great. I’m thinking with a little work it could be back on the road. 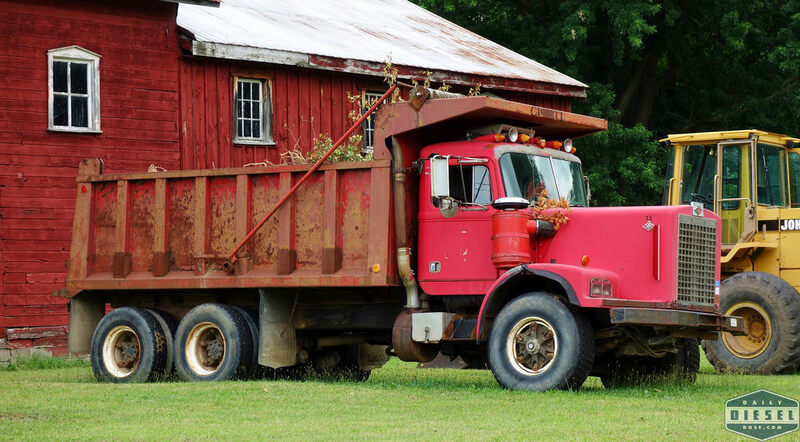 What an awesome truck. You just don’t see anything like this anymore. And here is a rig we’ve seen before. You can see the evolution of the Diamond-T design after it was folded in with Reo when the brands flew under the White Motor Company flag. I would say these trucks are separated by about twenty years. Despite their age they are still with us! Legendary toughness right there. This entry was posted in Lost and Found and tagged Diamond Reo, diamond t. Bookmark the permalink.